Also, the battle over Havana Club rum heats up, wine ice cream keeps cool, and E. & J. Gallo acquires Orin Swift. This week in your world of wine. Pennsylvania took a step out of the Prohibition era this week when the state House voted to allow grocery stores to sell wine. The new law allows licensed supermarkets and restaurants to sell up to four bottles of takeout wine per customer. State stores will also have more flexibility about setting hours and pricing. Pennsylvania has been one of only two states (Utah being the other) where the state government is in complete control of liquor sales. Direct to consumer (DTC) sales of wine will soon be a reality also. 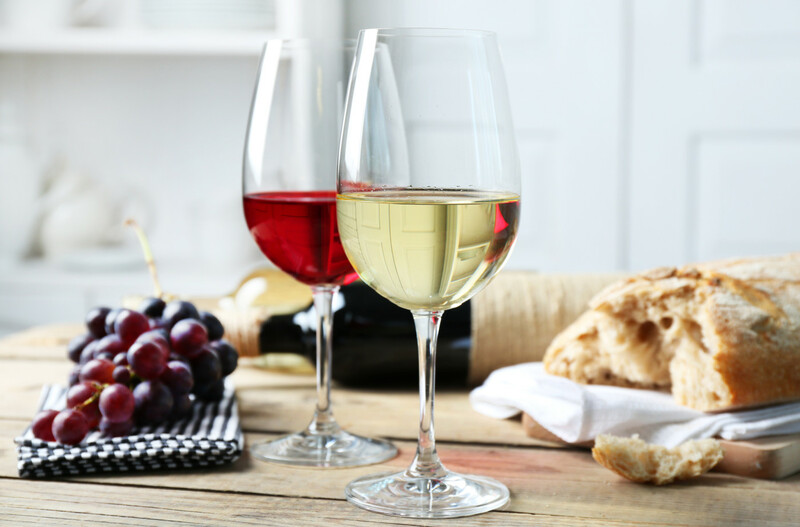 On June 8, Pennsylvania Governor Tom Wolf signed HB 1690, which includes new laws that will allow DTC wine sales by wineries. Licensed wineries will be able to ship up to 36 cases each year to a Pennsylvania resident. Head bartender at West Hollywood’s Gracias Madre, Jason Eisner, has been crafting cocktails using CBD—an anti-anxiety oil that can be extracted from the marijuana plant. It is different from THC, which is extracted from the marijuana flower and stimulates a psychoactive effect. Eisner previously worked at Bubby’s in Tribeca, Jerry’s in Chelsea, and the Film Center Café in Hell’s Kitchen. Among his new collection of $20 cannabis cocktails: the Stony Negroni (gin, vermouth, amaro, a spoonful of Port and a dash of CBD), the Sour T-iesel (a twist on a Tequila sour), and the Rolled Fashioned (Bourbon, mezcal anejo, cinnamon, sarsaparilla syrup, Peruvian tree bark, vanilla bean, star anise and a dash of CBD). In 2015, Mardonn Chua and Alec Lee wanted a taste of one of California’s most iconic wines, the 1973 Chateau Montelena. But at $10,000 a bottle, that experience felt “hopelessly out of reach. So they decided to manufacture it themselves. No grapes, no fermentation and no aging required. “If wine is just composed of molecules, then surely we can recreate it compound by compound and provide the same tasting experience as the wine itself,” Lee says. To its founders, Ava Winery is providing a taste of these rare flavors to the masses. They also highlight their product’s environmental friendliness—while a traditional bottle of wine takes 500 to 1,000 liters of water per bottle to produce, Ava’s wines only take 10 to 20. What to eat with that faux Dom? Try a bowl of liquid nitrogen wine ice cream from Baltimore’s Crossroad Company. Each 6-ounce serving of Winecream contains 10% alcohol by volume. Ingredients are “naturally sourced gourmet ice cream and craft-made fruit wines,” with a choice of strawberry, mixed berry, pineapple or peach. Base wines are mixed with ice cream, fruits and nuts, and then flash frozen in liquid nitrogen at minus 320 degrees Fahrenheit. Winecream will be on sale soon in Maryland and the surrounding region. E. & J. Gallo Winery has purchased Orin Swift Cellars, who are known for marketing wines with bold imagery, memorable names and creative labels. Founded in 1998 by innovator and winemaker David Swift Phinney, Orin Swift’s original and exciting approach to brand innovation has won a large and loyal consumer following. The acquisition includes the Orin Swift Cellars brand, related inventory, and control of the tasting room in St. Helena. Constellation Brands is seeking a valuation of roughly $1 billion Canadian dollars ($771 million) for the initial public offering of its Canadian wine business later this year. Constellation’s holdings in Canada include eight wineries and 160 retail locations across Ontario, most obtained through the 2006 acquisition of Vincor International Inc. Constellation owns six of Canada’s top 25 table wine brands, with Jackson-Triggs the highest-selling label overall, and Inniskillin the top ice wine. A major expansion is underway for the Havana Club distillery, in a joint venture between Pernod Ricard and the Cuban government. The move, coming ahead of an expected loosening of the U.S. trade embargo on Cuba, has further inflamed tensions with Bacardi Ltd. over ownership of the Havana Club name. Pernod asserts that a 1993 deal with the Cuban government gives it global rights, while Bacardi contends it bought the brand name from Havana Club’s founders, the Arechabala family, who fled Cuba after Fidel Castro’s government nationalized the island’s distilleries in 1960. Both brands are fighting for a chunk of the lucrative North American rum market, which accounts for approximately 40 per cent of all international rum sales. The battle has now reached the United State Congress. The House Appropriations Committee recently released a bill that blocks the licensing of a mark, trade name or commercial name confiscated by the Cuban government during the revolution. If passed, the bill would deal a serious blow to Pernod Ricard’s claim, and would reverse a January 2016 ruling by the US Patent and Trademark Office which awarded a trademark for Havana Club rum to the Cuban government. Following its approval of the “Bordeaux” appellation a year ago, China will now recognize all Bordeaux AOC still wines as geographical indications. The Bordeaux winegrowing region is the first to benefit from such widespread official Chinese recognition. To date, only five other foreign Geographical Indications for wines and spirits have been recognized—Cognac, Champagne, Napa Valley, Scotch whisky and Tequila. The Craft Beverage Modernization and Tax Reform Act (HR 2903/S 1562) continues to gain broad support in Congress. A majority of the House of Representatives and 43 senators are co-sponsoring the bill, which would reduce and reform federal alcohol excise taxes for all producers of wine, beer and spirits. California’s Wine Institute has been working to make needed improvements that will provide meaningful support to all wineries and help them continue to grow.